The Ocean Marine Yacht Club embodies the mindset of Floridian surroundings. Enjoy spectacular views of the ocean from your expansive terrace; watch luxury yachts travel the Intracoastal Waterway from the view of a harbormaster; or leave your private cabana and slip into the spectacular swimming pool and discover what relaxing in paradise looks and feels like. 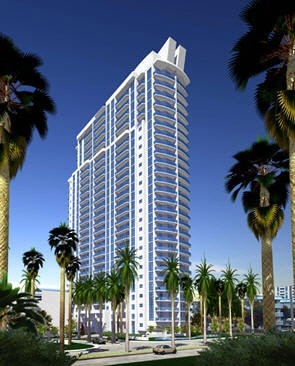 The Ocean Marine Yacht Club is one of Broward's County newest waterfront condominium residences providing a lifestyle in Hallandale Beach to match the newest communities in the area. 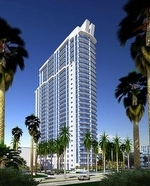 The exciting design of the 27-story tower, with outstanding views of the ocean and the Intracoastal Waterway, features 283 residences including over twenty floor plans with one, two and three bedrooms selections. With the addition of 24 penthouses and 16 "Portofino" residences overlooking the Intracoastal, the choices at Ocean Marine Yacht Club will be endless. In addition to superior unit designs and the latest in kitchen and bath finishes. The Ocean Marine Yacht Club was created using the mindset of South Florida's attitude and lifestyle. Enjoy spectacular ocean views from your expansive terrace balcony; relax in the sun in the privacy of your own cabana; set out for a nautical adventure from the Intracoastal waterway; or dive into the spectacular swimming pool and discover what relaxation feels like. The clear skies and blue waters of South Florida surround the Ocean Marine Yacht Club in Hallandale Beach, South Florida. 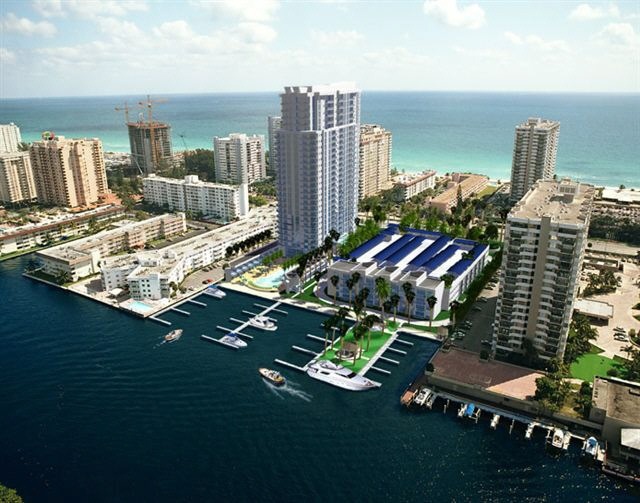 The Ocean Marine Yacht Club is set on the Intracoastal Waterway in Hallandale Beach. Set your gaze towards the azure Atlantic, the captivating Intracoastal or the white sand beaches that surround Hallandale and Hallandale Beach. There’s plenty to see from every condominium home, and because the Ocean Marine Yacht Club is a soaring building compared to its neighbors, the higher you go, the sweeter the sunrises, sunsets and every moment in between. So open your eyes and enjoy all of the views at the Ocean Marine Yacht Club. Picture yourself in repose, inside an extravagant private cabana all your own. For un-compromised relaxation, the cabanas are the perfect poolside hideaways to laze, lounge and lie about. European details and fine construction will make your Florida days feel more Mediterranean. And since each haven is wired for high-speed Internet, phone and data, you can stay connected to the world while sitting in the lap of luxury. A poolside personal cabana at Ocean Marine Yacht Club is an indulgence you don’t want to miss.